Caohagan is one of the most popular destinations Caohagan Island Hopping in Cebu in the local island strip. With just an hour away from Mactan Island, Caohagan is a place bustling with relaxation and leisure. Bordered by crystal-clear water, Caohagan is abundant with excellent snorkeling and diving spots. Enjoy the scenic view of the ocean. Take a quick underwater adventure and discover the colorful marine life. Quaint and euphoric, partake in the fresh catch and local produce. Take home quality products that boast of world-class craftsmanship. An island filled with enjoyable activities for your family and friends. Here at Caohagan, you can never go wrong with the island’s peaceful atmosphere. Aside from the abundance of natural beauty, Caohagan Island is known for its hospitable locals. So be sure to commune and get to know more about their culture and livelihood. 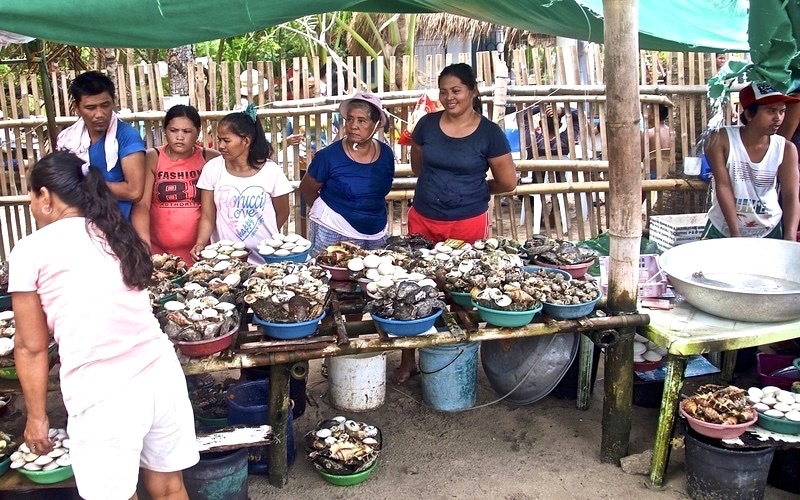 Some vendors sell a wide variety of seafood from the area. Visit Caohagan and have a fun-filled adventure today!